Sitting in his car – outside the post office where he had collected a brown paper package containing the written records of over two years spent in care ­– the repressed and traumatic memories started to resurface as he read. Ryan McCuaig, 27, was five when the state got involved in his care. After a 15 week wait – rather than the 28 days stipulated by the Information Commissioner – he finally had the written evidence he hoped would give him answers about that time. Yet it is so heavily redacted, he claims the experience has left him with questions rather than increased understanding. Now he – and colleagues from Who Cares Scotland of which he is a board member – are calling for standardised guidance, allowing better access to care records. They also claim independent support and advocacy is needed to help people process often distressing information written in jargon. McCuaig, who last week shared his experiences on Twitter, said he also believed it was essential that changes were made to ensure note taking practices for children and young people currently in care were changed for the better. Last Friday, I received my social work records from @GlasgowCC. A pile of papers which tell the story of my time in the care system in Scotland. The process through which these records are obtained is uncaring, bureaucratic and extremely stressful. Growing up he didn’t know there would be records of the time when he was a so-called “looked after child at home” with the involvement of social work, kinship care and the Children’s Panel. But after getting involved in Who Cares Scotland, McCuaig, who is training to be a lawyer, decided to explore the “important part of his identity” he had largely repressed. “I made a subject access request, to which the council says it will respond in 20 days,” he added. During the tense wait that followed he claimed he was kept poorly informed. “I was told they had located my files but they were redacting them and it may take some weeks. When I chased that up I was told it was a department under pressure and it may take a bit longer. “That’s fair enough but I had no idea when they would arrive so in the end I just came home to a slip saying I had missed a package. “I went to pick it up before work, and ended up sitting in my car by myself reading them. It felt so uncaring, so bureaucratic. It is describing the life of a child but written in note taking language. “It definitely has the potential to re-traumatise people. What would have been much better is if I had been offered support, rather than sitting alone and reading every traumatic thing about your childhood. Kevin Browne-MacLeod, director of membership at Who Care Scotland, also has personal, as well as professional experience of the issue. When he first requested his records he received a single, heavily redacted file. After a year and a half of appeals he was finally presented with ten ring binders about his time in care, often in painful yet strangely impersonal detail. Amongst notes he found a photo of him with his brother, which he had never seen. Details of his siblings had been redacted – even trips to the park with his brothers were blanked out as a result. He had still to receive video of family meetings he understands they exist. He stressed his experience was far from unusual. “From a professional perspective a lot of our members have had difficulty accessing their records or found they have been heavily redacted,” he added. “They have been written by so many people – social workers, fosters carers, over multiple placements, early shift workers, back shift and night shift. “There is no standard guidance given about these records [across Scotland] and very little support provided. “Despite the fact that we have a historical abuse inquiry ongoing there is no independent advocacy. So where there is support people are accessing [that] from those who delivered the care to them.” This is not always appropriate, he claimed. Language used can sometimes be derogatory, he added, with some people finding that they were described by care providers as manipulative, or difficult behaviour caused by trauma was interpreted inappropriately. “We know that this is a system under review for very good reason,”Browne-MacLeod added. Children and Young People’s Commissioner Scotland, Bruce Adamson, claimed all children had “ a fundamental human right” to access information held about their past. He added: “This is particularly important for care experienced children and young people, whose lives have been directed and affected by decisions made by the state, often when they were too young, too distressed or not supported to understand what was happening. “However, provision of information on its own is not sufficient. Files may reveal highly sensitive or distressing information, or be written in confusing and complex language or jargon. Fiona Duncan, chair of the Care Review, also confirmed she had heard about the issue “many times” in the course of her work. “Young people have told us of the huge challenges, not only in accessing their files but also the support that can be needed when reading about their lives and the impact that can have on their wellbeing and family relationships,” she said. While she insisted the Care Review would consider how best to uphold children’s rights on this issue, action was also needed more urgently, she argued. “Change can’t wait until the review ends,” she added. A spokeswoman for the Scottish Government said that every local authority should be recording information clearly and helping young people to source appropriate records about their care. “We recognise that care experienced young people often face unnecessary challenges,” she added. “We are working hard to tackle those and deliver practical help. 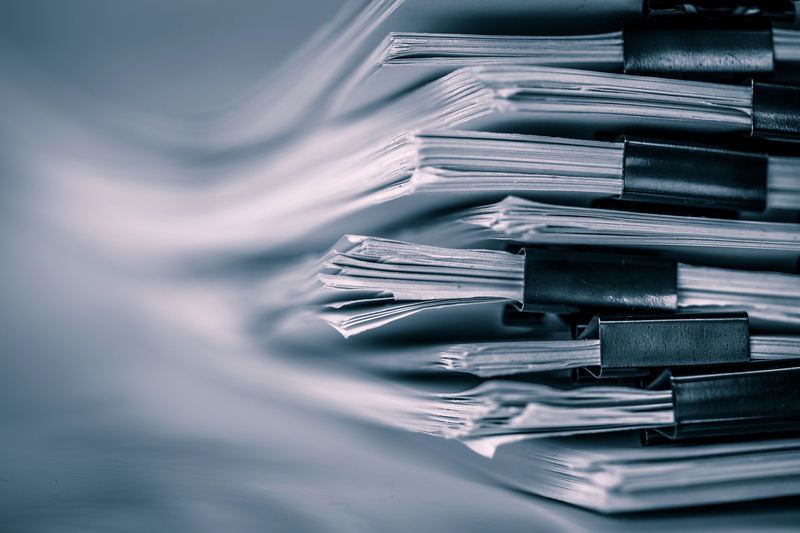 A spokesman for the Convention of Scottish Local Authorities (COSLA) said it was engaging with the Care Review but that it was up to each local authority to determine how they responded to requests for records. A version of this story was published in the Sunday National on 11 November 2018.